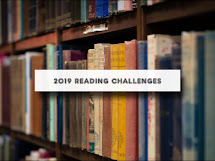 The 3rd book in Susan Wise's Bauer's Well Educated Mind list of fiction reads is Gulliver's Travels. A satirical novel once known as Travels into Several Remote Nations of the World, in Four Parts. By Lemuel Gulliver, First a Surgeon, and then a Captain of Several Ships. A mouthful, yes. The author gives some account of himself and family. His first inducements to travel. He is shipwrecked, and swims for his life. Gets safe on shore in the country of Lilliput; is made a prisoner, and carried up the country. It would not be proper, for some reasons, to trouble the reader with the particulars of our adventures in those seas; let it suffice to inform him, that in our passage from thence to the East Indies, we were driven by a violent storm to the north-west of Van Diemen’s Land. By an observation, we found ourselves in the latitude of 30 degrees 2 minutes south. Twelve of our crew were dead by immoderate labour and ill food; the rest were in a very weak condition. On the 5th of November, which was the beginning of summer in those parts, the weather being very hazy, the seamen spied a rock within half a cable’s length of the ship; but the wind was so strong, that we were driven directly upon it, and immediately split. Six of the crew, of whom I was one, having let down the boat into the sea, made a shift to get clear of the ship and the rock. We rowed, by my computation, about three leagues, till we were able to work no longer, being already spent with labour while we were in the ship. We therefore trusted ourselves to the mercy of the waves, and in about half an hour the boat was overset by a sudden flurry from the north. What became of my companions in the boat, as well as of those who escaped on the rock, or were left in the vessel, I cannot tell; but conclude they were all lost. For my own part, I swam as fortune directed me, and was pushed forward by wind and tide. I often let my legs drop, and could feel no bottom; but when I was almost gone, and able to struggle no longer, I found myself within my depth; and by this time the storm was much abated. The declivity was so small, that I walked near a mile before I got to the shore, which I conjectured was about eight o’clock in the evening. I then advanced forward near half a mile, but could not discover any sign of houses or inhabitants; at least I was in so weak a condition, that I did not observe them. 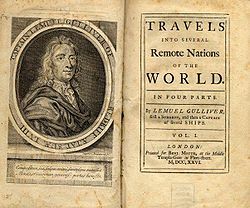 Gulliver's Travels can be read online Here,or here, or listen to it online here. just finished The Barefoot Running Book by Jason Robillard. I learned to love Gulliver's Travels. It is amazing how many things in our culture today from from that book. I just linked a totally practical book. We planted garlic today using Growing Great Garlic, and I'm so excited! Recently discovered James Patterson's "Women's Murder Club" series - where have I been?! Just discovered a new theme for fairy tales and modern lit: missing fathers. Dan Walsh deals with it beautifully in The Reunion.